Perception often leads to reality. 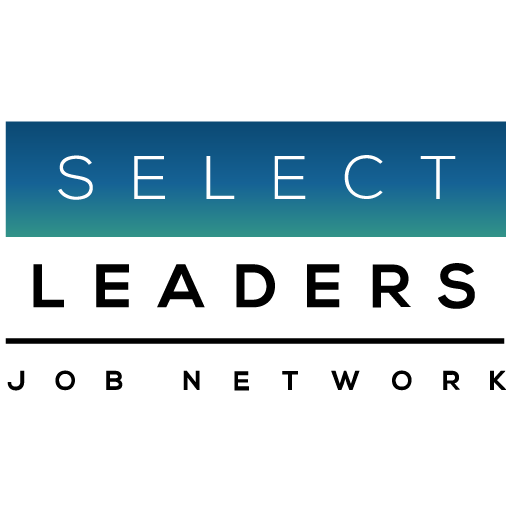 In the final weeks of every December, we conduct an industry-wide survey in cooperation with the 11 premier Real Estate Professional Associations, whose Career Centers are powered by SelectLeaders. Again, this year, a rich mix of Real Estate Professionals: Candidates, Employers, Principals, Top-line Managers, and HR Executives share their insights and perspectives on the Real Estate Job Market and its prospects for the year ahead … in their own words. 67% of respondents believe the “Pace of Business” and their associated amount of work and output increased in 2015. In 2016, help is not on the way. 75% believe hiring will either remain the same (44%), or decrease (31%), in 2016. 70% of respondents expect their total compensation (salary, commission, and bonus) will increase in 2016. And, their optimism is based on facts: 62% received a bonus the previous year. And 58% reported an increase in salary and/or commissions in 2015. Work increased, and so did compensation. The Federal Reserve hiking interest rates caused the greatest uncertainty for our respondents with nearly half (49%) reporting it will impact their business. Fiscal Policy and Global Concerns were on the minds of many of our respondents. 84% believe the increasing threat of terrorism will not impact their business. 16% of the respondents involved in security, global companies, or specific sectors reported an increase in time and money related to securing public and employee spaces, especially cited by those in hospitality, aviation, shopping malls and entertainment businesses. Did you receive a bonus in 2014? This year, did you and your team do more data reporting, or reviewing, than in previous years? Turning to global factors in 2016, will the increased threat of terrorism impact your business?. Will The Federal Reserve increasing interest rates impact your company’s business in 2016? Will the Presidential race and election affect your company’s business in 2016? Libor (London Interbank Offered Rate) will increase and result in less favorable financing, but the impact should be muted especially if spreads compress. Chaos starts with the Fed and their idiotic rate increase. Most of our large borrowers hedge so don’t think it (increased interest rates) will have a dramatic impact. If anything, should boost income to the bank. Increasing wealth for the top, continued decline of the middle class and living wage jobs. While the government reports a near 5% unemployment rate or near “full employment” this does not take into account those who have taken lesser jobs with lesser pay or who have fallen off the unemployment rolls. I believe under employment is 5% or more. Any short term reduction in the cost of fuel is more than absorbed by the dramatic increase in health care and education costs. Only the insurance companies are winning with Obama Care. I expect slow growth in 2016; an aging population buys less so retail will remain sluggish for the foreseeable future. Fed is probably the biggest concern as we lend at floating rates. Oil and gas meltdown is also of greater concern if it will start impacting economy. Real estate market feels very frothy and I want all of my borrowers focused on getting their projects out of the ground and delivering to market timely. Everything is subjective. I own my own real estate business and work strictly on commission. Anything that can hurt the economy can negatively affect my business as it would cause property values to go down. The rate of inflation will increase before fall of 2016 or election time. I expect capital flows to US real estate to experience a continued healthy flow from overseas. Trends and goals tend to be short sighted, inability of leadership to implement long range planning, desire for lower levels of profit in a short term. Compared to larger return over longer time and investment. Construction tends to favor times when business owners have plenty of reserve funds or the ability to take out affordable loans. Land and deals in Florida are becoming like California more and more. Locating and executing is a challenge. The Tri County reminds me of Southern California. Cap rates and prices in Miami Dade County cannot continue unabated. I think the hike of interest rates, although small, will get buyers moving before it increases again. The Federal Reserve will increase interest rates impacting most lending activities that will impact real estate financing, and consumer goods financing. While interest rates stay low and leasing fundamentals remain solid in 2016, fears of an impending market correction and global uncertainty should keep the CRE investment market rational. I expect that we will be approaching a bubble in m/f by June of 2016. The debt markets could play spoiler to increasing valuations, as CMBS and bank lending weakness cannot be made up by other sources. Any decline in the global or local economies impact our tenants which have the largest impact on our long term business. Higher interest rates should encourage sellers to get off their hands and sell before rates go up more. Fed tightening has created an inflationary market in real estate and construction which is driving living (via housing) to a dangerously high level. Ultimately it will reduce our national standard of living. State of stock market has the fastest impact on investments… decline throws portfolio ratios out of balance and real estate investments always are hit hard. Funds dry up and jobs in asset management go away. Fear reigns across borrowing, capital investments and staffing cost. Until Congress & the American public deal with massive overhang in debt, economy will crawl along. The longer it crawls the greater the risks that people will respond to and move toward extremist positions politically both here and abroad. So I would say uncertainty and volatility are the watch words. Fundamentals of rent, etc. are still good, but everything is increasingly fragile. 9th inning of the cycle. Extra inning(s) possible, but recessionary pressures are mounting. I doubt that minimal interest rate increases will have any significant effect as there are still many sources of capital flowing into the U.S. looking for a safe haven. With interest rates rising, investment and debt returns will also have to change as well. How quickly sellers and buyers can agree to the new higher returns and cost of capital, will influence greatly deal velocity. The reality of the interest rate increase won’t be felt until it affects real estate values. Once cap rates rise, debt comes due and liquidity is gone, things could get ugly quick if the government gets trigger happy with the rate increase button. Concerns over rate risk and market slow down. Our market is extremely competitive…unless the country and allying nations all prosper…I think stiff competition will remain. It is becoming more and more difficult to acquire new properties at a reasonable price. I am more worried about global macroeconomics than anything else. A slowdown in China, global terrorism, and similar “unknowns” seem to represent the greatest threat to U.S. economic growth. Otherwise, the domestic outlook feels generally positive, even if not “on fire”. Nations of the world need to join together to eliminate Muslim fanatics from the world, and remove them from their countries. If attacks happen more frequently in the US then Americans will hunker down and hold their money close, if we show strength and beef up our armed forces and have a better presence then Americans will be confident, feel safe and things will improve… lots of variables. Oil drops precipitously and domestic terrorism increases. Oil and gas meltdown is also of greater concern if it will start impacting economy. There’s a lot of uncertainty out there and with China & potentially the Middle East getting out of or reducing their US debt purchases, there’s certainly potential for huge volatility. Less job opportunity for seasoned experienced workers, trend is to hire young and cheap, less positions due to technology. All the market is doing is circulating talent. Accountability is low. Larger corporate entities are focusing more resources on senior management and major income producers – with less focus on support personnel. Cancelling employee appreciation functions, reducing IT and other support systems, reducing holidays and charitable matching is becoming more common. These employers are taking advantage of the unemployment trend and reductions in salaries from employees who have been forced to take reductions in salary in order to have a full time position. Employers should really start offering more robust benefit packages. It’s all the talk and people are looking for more generous packages and better healthcare options. Many attributes exists for the creative individual. Although elections, new interest rate deviations will increase and or decrease business activity. Speaking cyclically, the change will do us good. I left the real estate industry to go to the mortgage industry. I have extensive real estate sales and marketing experience. I am hoping to have a more stable career in 2016. The talent pool in south Florida is very limited. Land and deals are becoming like California more and more. Locating and executing is a challenge. The Tri County reminds me of Southern California. Cap rates and prices in Miami Dade County cannot continue unabated. In order for commercial real estate to expand we need more good paying jobs. With all of the new development, particularly in Chicago I feel it will be more difficult to find qualified property management staff. (My) company is laying off people and curtailing projects. I expect wages finally to begin rising slightly because the job market is stronger and it’s harder to find talented people. Hiring people with skill sets needed to succeed in commercial real estate has become increasingly difficult in our market. I believe there were more jobs available than in past years when I was laid off, but the salaries decreased dramatically. I had to settle for a position that was just enough to cover my living expenses and was about 60% of my previous position. I turned down two positions that were so low I couldn’t even make ends meet. On the plus side, I was only laid off for three months and perceive my new position as having room for growth. If the convention of states movement should take off, and the states could pass laws requiring congress to pass no laws that don’t also apply to congress, and requiring something close to a balanced budget from the federal government, then this country would take off like a rocket. We need to get back to following our constitution, that remarkable document that keeps government in check when followed and allows our private sector to prosper. We are still in an economic depression, and while the media seems to portray everything as coming up roses, there are still too many economic problems to be solved. The current national administration cannot or does not concentrate enough time on domestic problems. The sooner they are removed from office the better off the country will be. We need a sweeping replacement of our leaders in DC and a focus on the economy and getting our country in a growth mode. Potentially rising rates will help our lending and the theoretical cushion that exists between cap rates and cost of capital may preserve our equity values. The Presidential race will create uncertainty which is probably not good for us or the markets in general. I did not work in my industry this year, but hope to in 2016. The election will have a negative impact on business in 2016. Here in the East, where we follow the goings-on of the political process fairly closely, the Presidential candidates do not inspire confidence… So, I see nothing good coming out of the Presidential elections. With respect to increasing interest rates, this has a history of being bad for business by stunting business growth and limiting job growth. I see nothing at present that will change that history. Again, in the East, this has been a “recovery” without job creation, regardless of what the employment figures suggest, since the figures only reflect the unemployed who are collecting unemployment insurance benefits. Hundreds of thousands of unemployed workers who cannot find work are not reflected in the figures the Government uses to substantiate the claim that there is an acceptable level of unemployment and good, strong, economic growth. If such growth does exist, it is not evident here in the Northeast. Raising interest rates will do nothing but exacerbate this situation, in my opinion. 2016 should be a good year if the GOP can hold tight and get a Republican elected as President of the United States. Job growth is the only consideration I watch, which could be effected in a very small way by which ever idiot ends up becoming elected. By that I mean they will either do nothing and job growth will continue to be terrible or they will do something and make it worse. I see business increasing steadily provided the Republicans win the presidential election. If the Democrats win, all bets are off, and this country will be in serious trouble. Anemic economy with both sides of the aisle firmly entrenched and enacting legislation that makes no sense to Americans. I have never heard anyone complain about inflation when they are working… and the fed government’s job should be to protect us… period. Where’s the rules and votes for that? (Federal Reserve actions.) Where’s the wall?? Where’s the proactive thinking and policies to protect USA and our way of life? Hope socialist Bernie fades quickly. Until laws, such as, Dodd-Frank and the CFPB are either eliminated or over hauled, there will be little or no growth in the US economy over the next 10 years. Very important that we elect a real leader in 2016. If Hillary gets in we are done. If a GOP President is elected by our overall politically ignorant electorate, America will be at open war with the Mideast again with the lives of our future in harm’s way. The congress will continue to pass legislation that favors the rich and diminishes the middle class in order to keep their debts to the lobbyists current. The economy will decline as this scenario devastates the average Americans ability to forge a decent life through a living wage. The GOP will attack proven programs that help poor Americans and the classes will separate even further. As the gap between haves and have nots widens, the potential for domestic unrest (sometimes in the form of terrorism) fueled by America’s unfettered obsession with weapons, could increase to the point where our already embattled police departments are regularly in armed conflict with the public. This trend has got to stop but will not have a chance with the current make up of congress. Business needs to drop short term greed-driven influence on law makers and start looking strategically at what we are building (or destroying) for future generations. I don’t think the Presidential race itself will have an impact BUT who is elected could certainly be cause for alarm. We’re becoming a nation of scared â€˜sheeple’ so easily manipulated by a hysteria-inducing media like FOX & CNN. People don’t think anymore and Americans are becoming more stupid by the day. America really has no competent leaders and government bureaucracy along with red tape is killing this nation. When Trump is president maybe he will make a dent in straightening this country out and getting middleclass workers back to work… hopefully before this class of people is totally ripped apart by the greedy wall street rip-off artists. I would like to leave my country to work abroad because economy is collapsing in Nigeria. Any suggestions that terrorism or the presidential election will have any bearing on property management are nonsense. Terrorism, at this point, has not affected the business but if further issues occur, then that could cause the economy to wobble and commercial real estate activity to slow. 2015 was a tough year for my company; however we feel that we are well positioned to go into 2016 with increased success. The price of oil will continue to have an impact. International expansion may increase significantly. Real estate market feels very frothy and I want all of my borrowers focused on getting their projects out of the ground and delivering to market timely. Spreads are already widening in the bond market; Fed likely to do the same starting today; as cap rate expansion gets real in the minds of RE investors, the usual slowdown will occur as both land sellers and contractors will take a while to get on board with the fact that the market is starting to turn. Continued multifamily growth with new twists for occupants on conversion from rental to owned. Continued bifurcation in Retail with B-grade and below malls suffering and closing with Mid-priced Dept. stores, leading the way to market matched mixed-use development on the same sites where feasible. Office will be great in CBD’s and TOD sites but much tougher in pure suburban settings. Suburban towns will need to act quickly to have manageable re-urbanization plans to remain relevant for the next 10 to 20 years, for many reasons. Industrial / Logistics will continue to grow with the growth of online everything!! I expect that the “new” normal will result in increased savings/investment and conservative spending for those consumers have the means to control their spending. Consumers who are scraping by and purchase the necessities will continue to scrape by. Those retailers that expand very cautiously or hold fast will deliver good results. Continued interest rate increases (if they occur) will slow investment and spending, the threat of terrorism and China’s fiscal problems will offset the continued slide of oil prices. My focus is on leisure and the related real estate. A stable regulatory environment allows for better analysis so uncertainty around the Presidential race will be a factor. The terrorism risk is no worse than in previous years. However, nations are already requiring more paperwork for visas or tightening border controls. The result is slower economic growth. Terrorist acts alone are not likely to have any long-term impact if governments do not over-react. Viruses such as Ebola and SARS present a more significant risk to the economy. Rising rates have already caused higher borrowing costs. Debt markets remain aggressive with proceeds, and we see the same continuing in 2016. The presidential election and consequential reshuffling of administrations should assist the Northern VA and Washington DC office markets. NYC is feeling pricing pressure as rental rate increases have not met expectations. This should continue in 2016. My previous employer “restructured”, terminating about 12 employees out of 100. After a rough end to 2014, we didn’t think it would get worse… we were wrong. Business in 2015 has lagged and flat lined at best – and been awful (especially compared to expectations) at worst. Speaking of worst, our revised projections for 2016 are the worst in nearly a decade. With minimal growth on the horizon, our team hasn’t recruited at local college campuses since 2011. It’s getting depressing. Changed jobs/industries mid-2015 which made it difficult to compare year over year Q’s above. For the past 4 years my company wants more production and time for less compensation. Level home prices, level demand. Robust housing market (single family rental opportunities creating positive cash flow, competitive entry level housing demand and double digit appreciation) in the Apex/Cary/Raleigh, NC area… speaking as a homeowner, rental manager, real estate appraiser. Our projections for 2016 are good. The number of projects that we work on should increase. While the economy is generally in a flat line or possibly a slight up-turn, given the past 8 years, that is a good omen. Growth will continue in the single digits. The relaxation of FIRPTA Foreign Investment in Real Property Tax Act of 1980) means the investment volumes will increase in 2016. It is going to be a good year. Let’s hope the confidence continues! Looking ahead things look very constructive. It may be better. We will see. 2016 will likely be the “top”. It can’t be worse than 2015. This new year, 2016 will cause a shifting of people from States because of new candidates entering office/leaving office so that should motivate sales. 2016 should be a great year. We do need an increase in inventory. We are well positioned to go into 2016 with increased success. The year ahead looks very promising. Our company is very optimistic for the coming year as oil prices continue to decline or remain stable for the next eight quarters. Everything will be about your own attitude and making sure you hire and retain and grow the right people. As long as the economic outlook remains strong, it should be a good year ahead! As it stands, business will likely increase in 2016 over 2015. This is primarily related to the fact that our company has just gone through a merger in the third quarter of this year and we should be fully integrated in the New Year. Interest rates will rise but not as quickly as perceived. Inflation will start. I think 2016 will be a good year for the Economy. I expect the year ahead to show more growth in the real estate market as demand for homes continue to increase while supply increases at a rate slower than demand, thus increasing prices due to low inventory. Should be positive with grow property values and transactions. Our market is extremely competitive… unless the country and allying nations all prosper… I think stiff competition will remain. Approaching it with cautious optimism. Slight increase, pretty steady with 2015. I believe that the Year 2016 ahead is one that will and should be filled with “Cautious Optimism”. While I think the pace of business has picked up, I anticipate the realization of prosperity will only be realized by those who have positioned themselves to of the current climate of increased Cash and other highly liquid assets. In certain markets/submarkets supply is going to outpace demand. We’re expecting growth in 2016, but at a slower rate than 2014 and 2015. It depends who gets elected for the next present as to the impact on the economy and the attitude of Americans. It will be a transitional year. The Chinese say, “May you live in interesting times!” I think 2016 will be very interesting with many dangers to avoid. Hold on it’s going to be a bumpy ride. We’re all very mindful of where we are in this latest recovery. We have to expect that it cannot last forever, but don’t see the usual signs of a pending reset (unless you count the substantial increase in the number of holiday gift baskets sent to our office – a level not seen since 2007). Focus in 2016 should probably be balanced between an expectation of continued, slow growth and preparedness for an unforeseen slowdown. The growth curve bends upward into foreseeable future, but just how much is unknown. Projections of increasing interest rates create a dynamic backdrop for the coming two years. Traditional economic theory will not hold true. The economy will experience heightened expansion for a time while interest rates rise. I expect things to remain good for the first half but as we get closer to the election and watch interest rates that could change a little. I expect the economy to grow at a snail’s pace, if at all. Business remains predictably slow. Hiring is non-existent. Growth is always a popular topic during election years, but we are not seeing any market growth in the field, only reading about it in business publications. 2015 was a tough year and we expect more of the same in ’16 – 2017 is realistically when we hope to see positive numbers again. It feels like the economy is teetering on an edge. There is very low confidence in the circles I know. It is very difficult to make long term plans in this environment and so we focus on monetizing low hanging fruit. My feeling is that we are headed for another economic decline or crash. Most likely due to increased participation in foreign wars. I work for JLL, which has a diversified portfolio so I suspect that the economy will not affect the overall growth of the company but I am looking forward to a bleak future in coming years. Slower year due in large part to Fed Tightening. I’m nervous we are nearing the end of the cycle. I am hesitant to start a new project that delivers in 3-4 years. I expect Commercial RE to have a strong performance in 2016, although more muted than 2015. Our company is being sold, so the overall outlook for us is dim in the short term bright for future. Asking prices on properties may decline. Looks like the economy is finally coming back up but there are still opportunities to be had from a purchasing and borrowing perspective. Unfortunately 2008 may look like a walk in the park within the next 5 years as banks and investors are doing less and less underwriting (just like 2004-2007). Our revised projections for 2016 are the worst in nearly a decade. Next year will be worse than this year from occupancy and a rent growth perspective. Foreclosures will increase. Real individual income will go down but household income will go up as family and friend again begin to cohabit-ate to save money. All in all I am not optimistic about 2016. Tough year ahead with pricing +/- 20% above 2007 peak in an economy that is underperforming. Real estate values will not be growing at the same level as the past 2 years. Increasing interest rates will not help either. Plateau year, prices sticky on the downside. Demand will soften due to cycle fatigue and increased supply in NYC market. Recovery is happening – but for how long? We will hit a few more bumps and loss in the market in the next few years. I don’t see an upside to business as I deal with it until near/after the election next year. My clients in general have no consumer confidence and will not move further with the purchase of a home given the poor economy (in spite of what the news reports) and the fact that one or the other spouse is out of work or underemployed. Property Management will have to be pro-active in assuring tenants of their safety. Business continuity plans have been re-looked at and adjusted where necessary. Real estate (will see) more foreign $$ looking for a safe haven. More regulations about income verification and lending standards. Heightened level of scrutiny to our economic projections with increased sensitivity to the unsettled situation on-going in the world. The DC market will improve because of government spending for the war on terror. Development of (new) security systems. Fear of retail effects and customer buying attitude. We are developing several high profile assets in Philadelphia, and heightened awareness of potential disruption from domestic or foreign terrorism is always a concern. Global geopolitical issues, including the threat of terrorism had a direct relationship to the speed at which deals get done. More security costs and infrastructure. Reduced confidence in the market stability. Is there an increased threat? Real estate a fragile business. Improved security where Government agencies are tenants. Require move information from those you are dealing with. Just adds to general uncertainty. Fewer people may be willing to travel to Hawaii so smaller investor pool and increased insurance costs. Our organization has members who work in commercial real estate, which can be affected by terrorism. Increased contract security services for our facilities. Threat of Terrorism will have an effect on the tourism industry and I work in hospitality real estate. It could slow the economy / hit my building. Primarily increased focus on cyber security. Less foreign investors, people afraid to deploy capital. I manage retail properties; tenants will be cautious about their expansion plans and if something negative occurs, consumers will reduce spending. Tourism is a big factor in the health of our market, and therefore increase tourism could slow down the pace of business. Worries about being a large public areas. Increase in business related to securing public and employee spaces. Shopping Center’s sales may be negatively impacted. I work in IT/Facilities for a construction firm, structures and data can be affected. More security issues will be brought forward as we address occupant safety. Tighter background check and property rules. Technology constantly updated for protection. Possibly, given that our customers are impacted by global trade routes and markets. We are in the shopping mall business which requires increased security. Greater travel delays due to higher security and more frequent causes for scrutiny. More work at the US Department of State, Overseas Buildings Operations, my employer. Need for more security personnel. Methodology: The survey was emailed in the last weeks of December, 2015, to registered Employers and Job Seekers who have opted-in for emails on the SelectLeaders Real Estate Job Network. The survey was conducted using a web-based survey program.